A recent article — Physicians Unite on Twitter, Divide on Practice — in MD Magazine provides an excellent review of current practice among doctors who use social media. 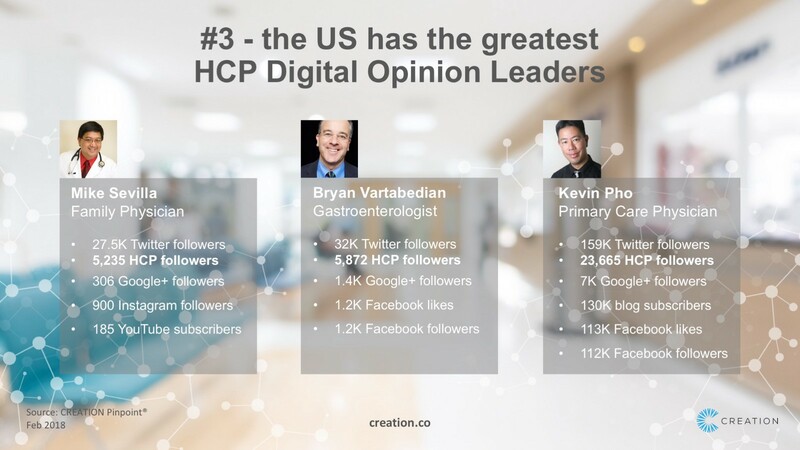 Citing some of the ‘stars’ among healthcare professionals (HCPs) on social media including Mike Sevilla, who was recently identified as one of the world’s top-3 HCP ‘Digital Opinion Leaders’, the article reflects on some of the reasons why professionals choose to use public channels like Twitter. For Dr. Sevilla, the goal to “champion the importance of family medicine and to combat misinformation” has been a driver behind his use of social media. But the benefits do not end there — the article illustrates how HCPs have used social media to mobilise support for online movements that have resulted in hospitals reversing decisions to close residency programs. This is the kind of behaviour we have observed and documented in CREATION Knowledge, where we have seen HCPs engage in policymaking over access to medicines such as the UK campaign to ensure access to breast cancer drug kadcyla. And there is another benefit rarely discussed: the legacy of a billions of tweets, posts and updates from HCPs about the issues they care about. All this content provides an incredible database of knowledge hosted by Twitter, Instagram and all sorts of other public social media sources. For a glimpse of what we’re learning from all this HCP conversation data, read up on some of the latest insights or subscribe to our free monthly CREATION Knowledge eJournal. INSIGHTS FROM ONLINE HEALTHCARE PROFESSIONALS. HCP audience intelligence for the health and pharmaceutical sectors.